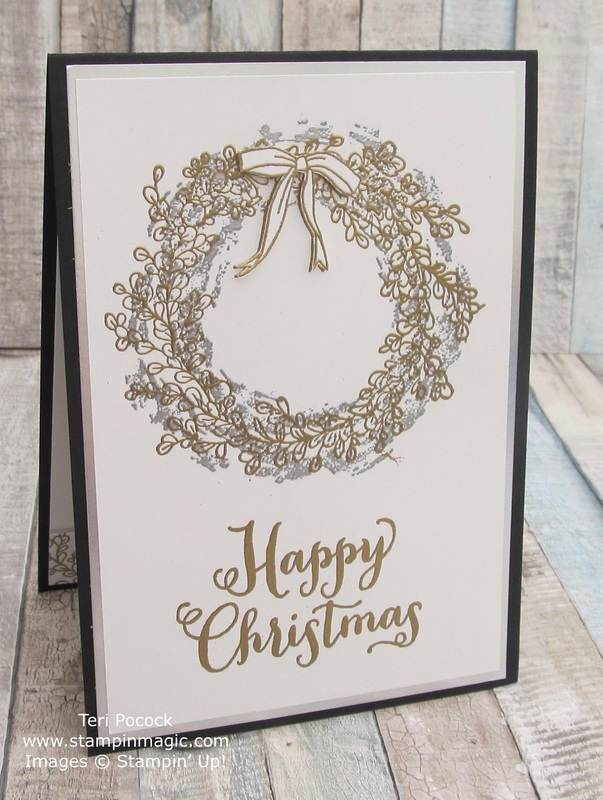 I used both Gold and Silver embossing powder for this final Feeling Of Christmas card. 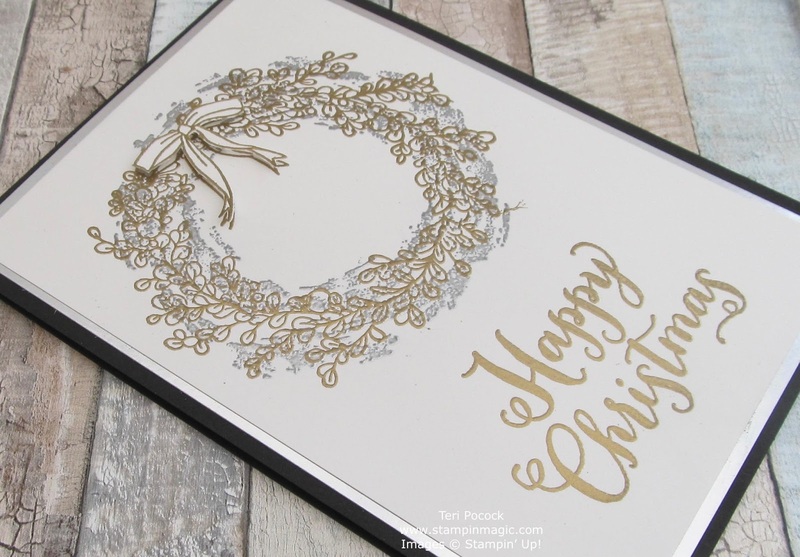 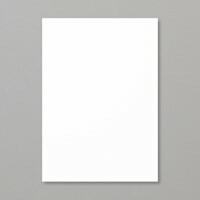 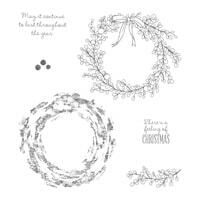 The Wreath 'background' image was embossed in Silver and the detailed image in Gold. 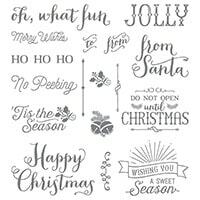 The sentiment comes from the Oh, What Fun stamp set and was embossed in Gold.